This theme works with phpBB 3.1. Looking for phpBB 3.0 version? 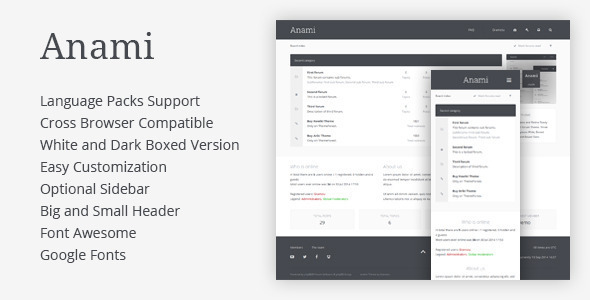 Check Anami 3.0 demo.